What causes the lower back to go into spasm? Should I play golf with a sore back? Struggling to decide to play golf this weekend? After treating hundreds of passionate golfers for back pain, one of the most common forms of feedback we receive is that sometimes golf makes you feel better, whilst other times it leaves you in terrible pain for days. As chronic back pain specialists we see countless patients who have spent years receiving standard physio and chiro treatments in the hope of finding a lasting solution to their condition. Find out if heat ointments could be beneficial to you. The blood rushing to the surface of the skin, along with the irritation create the hot sensation. Muscles will also warm up in the process of blood rushing to the area, which is why the use of heat ointments are so prevalent in sporting change rooms. There is a lot of conflicting information as to whether ice or heat is better for back pain. Learn what this Back Specialist did to fix his chronic, debilitating back pain. Want to know how I fixed my Back Pain? The following extremely unique treatment approach permanently fixed my debilitating back pain. It has since helped thousands of chronic back pain sufferers permanently rid themselves of their wretched condition. What do physio’s, chiros do for a Chronic Back Pain Sufferer. As someone who suffered from severe back pain, that affected the lower and upper back, I had a mixed experience seeing countless physio’s and chiropractors. 97% of Chronic Back Pain is 100% curable. The spine and it’s structures are blamed for chronic back pain, which in the vast majority of cases is an inaccurate diagnosis, one often given to promote unnecessary surgery and prescription of mind altering drugs. 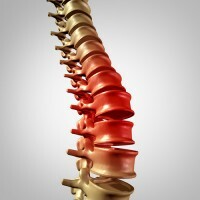 Want to know why you have your back pain? The majority of back complaints are diagnosed as pain being caused by wear and tear shown on x-rays and MRI’s. Chronic back pain (>3 months) does not respond to standard medication nor treatment. Is your Back Pain not responding to mainstream treatment? Millions of people worldwide are realising with a great deal of angst and frustration that chronic back pain is not cured by medication, it's not cured by standard physio/ chiro treatments, and in a great percentage of cases, it is not cured by surgery. The problem of back pain is quite common and affects most people at some point in their life. The magnitude of the problem could vary, but one thing is certain, the discomfort is there. It is quite shocking to see the percentage of people who suffer from back pain. 80% of the total world’s population is going to come in contact with back pain at some point of time. This means that we all are doing something wrong in our lives, which is why we have to deal with back pain. Back pain effects 80% of Australians throughout their life and in a lot of these cases there can be steps taken to avoid a large portion of that pain. Although these steps may not rid the body of the more severe cases of back pain overtime they most certainly can. If you are suffering from back pain give some of these helpful tips a go. Back Pain is one of the worlds leading disabilities. Back Pain is so bad it has reached an epidemic in the western world being responsible for the following statistics. Lower back pain effects up to 80% of Australians during their lives. Many of which are chronic, ongoing conditions. It is the single leading cause of disability worldwide and the 2nd reason for people visiting doctors each year only followed by respiratory infection. I Have Been Told I Have Arthritis In The Back, Is There Anything I Can Do? Arthritis is just medical jargon for joint pain due to inflammation. As with any inflammatory joint pain, if effectively treated, it can be permanently rectified.